For those who don't know, AO has always been copyrighted, even before we were AO. We've had a licensing agreement on our site since Oct 2002. We've been lax about enforcement because we don't like to be bad guys, and we hoped the licensing agreement on the site would speak for itself so we didn't have to. However, an increasing number of people seem to have interpreted "free for using" as free for taking, reposting, and sometimes reselling (either directly, or by copying and pasting from our site, but stripping out our affiliate links and replacing them with their own), or copying and pasting our work to their websites, and then, ironically, copyrighting those pages to themselves, even though they just violated our copyright. We don't really like confrontations of this nature, so even when we have encountered blatant copyright violations, we've hardly ever asked people to take them down. The few times we have asked, we've been told, "But look here, here, and here, they are in violation of your copyrights and you seem to have let them go . . ." So our generosity has been misunderstood and taken for license. Related to this, links are not the largest issue, but please do consider that when you copy and paste from our website to yours, replacing our affiliate links on our booklists with your own, that you are hindering AO's ability to pay for itself - and the Advisory ourselves did not even add affiliate links until about 2 years ago, paying for everything for the first dozen years or so out of our own pockets. What we have always envisioned is that our work is like a CM potluck - we prepared the main dishes, set up the location and hosted a giant picnic, inviting the community to join us, free of charge, and to pitch in as they are able, adding to the collective effort. We hate to sound whiny, but it is frustrating, and even hurtful, to see others copyrighting our work, or attempting to profit from it, when we have sacrificed so much to create it. It's becoming a problem, and we really need to Mom up and face our reluctance to confront people about violations of our licensing agreement. We need to be forthright about protecting our work, but we'd still prefer to do this as gently as possible. So we're asking you to please take a look at your own blogs and websites and see - did you copy and paste from material on our site that is *not* in the pubic domain? PR magazine articles are in the public domain, as are the original CM volumes. However, the CM volumes you see on our website have been edited, footnoted, and annotated by us, and our words and work are not in the public domain. Some websites have copied and pasted so much of our material that people are confusing those websites for AO. It's creating quite a few headaches for us, and almost nobody out there who has copied and pasted from our material has asked us for permission, and many seem not to even be aware there has always been a licensing agreement - the first versions were sent to our email list in 1999, 2000 and 2001, and appeared on the website at least as early as 2002. We love for you to talk about the curriculum, to link to it, and to explain to your readers how you've made it your own - but that does not require copying and pasting huge chunks of our work. Fair use generally allows about 300 words to be reproduced for the purpose of review. Could you please review your public writings outside the AO forum and if you've violated our Terms of Service, please, please take those down without waiting for us to ask? The right way to share AO is to link to our website, not to re-post AO's booklists, schedules and materials elsewhere. Thank you so much! Homeschoolers love to integrate lessons. It seems to go with the territory. Whole "curriculums" have been designed around activities that extend and amplify children's literature, history, science books, and sometimes mix them up all together like an Everything Pudding. However, assigning integrated work in subjects such as art and handicrafts is not integral (pun intended) to CM. It's not forbidden, maybe, but it's not required either, except for a few exceptions which I'll note below. I drew this conclusion mostly from the old P.U.S. term programmes, but I can't find any other "evidence to the contrary" in Charlotte Mason's books or elsewhere. Holiday gift giving and card making was integrated into the year's craft work, but the themes or periods being studied in school were not. I realize I'm going against the usual homeschool grain here, as well as current school practices of having students make clay castles during medieval studies and foam-ball solar systems during astronomy. But Charlotte Mason education was never all about fitting in with everybody else. So what did they do? Here are some outlines based on Form III programmes (so that would be for twelve- and thirteen-year-olds). CM homeschoolers will already be familiar with a lot of this, but bear with me. First off, the simplest, most unchanging part of Charlotte Mason's art curriculum was Picture Study, sometimes called Picture Talks. Out of a number of programmes from the 1920's, I have this list of artists: Matthew Maris, Millet, Watts, Steen and Dou, Corot, Durer, Raphael, Goya and José de Ribera, Holbein, da Vinci, Pintorrichio, Millais, Holman Hunt, Dirk Bouts, Turner, Carpaccio, Botticelli, Vermeer, Filippino Lippi, Mantegna. A lot of "big names" and a few lesser-known ones; heavy on the Renaissance with a side of landscapes. Middle schoolers were expected to learn and practice drawing skills (watercolouring seemed to count as "drawing"), using books such as the "Art of Drawing" series published by Philip and Tacey; Drawing, Design and Craftwork, by F.J. Glass; and Drawing For Children and Others, by Vernon Blake. (The Glass book was also used for craftwork.) There were specific subject suggestions given in most terms, such as "objects in the home," "tree studies," "objects out of doors," "kitchen utensils," "figures in action." Glass's book got a bit more creative with assignments, suggesting that the students paint fruits on tiles or draw what they would see through doorways. "Illustrations of scenes from Literature" was an every-term assignment along with the other drawing work. "Simple memory drawings" or "Memory drawings of out-door scenes and places" were often included as well. Sometimes there were seasonal projects such as "Design Christmas cards or calendars, using beautiful lettering." There was also the request that students join the "P.U.S. Portfolio," a sort of art club like Harmony Art Mom's online Sketch Tuesdays, where they submitted work by mail and added to it in a sort of round-robin. (According to this article, they had to set a rule that "the Portfolio only remains one day with each family. There are so many members that the unfortunate artists whose names begin with letters at the end of the alphabet cannot see it during the month unless this rule is kept"). Here's an article with notes for one season's "portfolio," and I love the suggested illustration from George MacDonald! And that's it for "art class." Clay and cardboard modelling, and anything else of that sort, came under "Work," a.k.a Handicrafts, Shop, and Home Economics. The study of architecture was listed under General Science. "Beautiful lettering" went under Sunday Occupations. Handicrafts included lots of needlework, sewing and knitting, darning and mending, cooking, helping in house and garden. Occasionally there was something special included such as "Frame your pictures with glass and passé-partout," "Make a design for an Empire medal" (in clay). What I notice about the "Work" section of the programmes is that it got longer and a bit more diverse in the years after Charlotte Mason's death. (Although I found one more unusual suggestion back in Programme 44, "Dress a doll in Tudor style.") Both boys and girls were to make papier-mache bowls as gifts, make plaster casts from linoleum blocks, reseat chairs with rushes, carve toys (from a Dryad Leaflet), "make rugs" (using a design book by Ann Macbeth) and help with laundry. Girls were to knit or crochet baby clothes, and sew and embroider an "overall" (what North Americans would call a smock). Boys were given books such as Light Woodwork for the Classroom, by W.J. Warren, and 101 Things for a Boy to Make, by A.C. Horth (a book that went through many updates and reprints). They were also assigned stenciling (why the girls couldn't do that too, I'm not sure). Not everything was stuffed into every term, of course. Cardboard modelling, which I can't imagine anyone getting that excited over (sorry! ), was one of the usual repeats from term to term, and of course all the household skills and charitable work were repeated as well. Most term programmes had one or two things that were special or different, such as carving toys. What does all this say to a homeschool parent or other educator planning a term's work now? First, if the P.U.S. could stretch its view of crafts from "reseat chairs" to "make a design for an Empire medal" to printmaking and carving, it seems to me that almost any good craft (or art class technique, like lino block casting) might be fair game for a term's work. All this work didn't seem to be timetabled into the school schedules, though. There are footnotes in the term programmes that the work given includes "hobbies," and I think that's one way of saying that some of this should be self-directed on the students' part. Obviously some of the more involved crafts would take instruction and supervision, but there would be some things that they could do on their own. Second, the P.U.S. made use of books by some of the best art teachers and designers out there. Ann Macbeth, for one, is a fascinating person to look up online; I just wish [more of ] her actual books were scanned in (see comments for a link to one of them). So that says to me that we can find ideas in mainstream (not just educational) craft resources; also in ideas given for groups such as Scouts (the P.U.S. programmes recommended doing work for Guide or Scout badges). Third, it's instructive to see what does not appear on the list: for instance, crafts made from specifically kid-marketed materials, such as fluorescent-coloured modelling material; and those just copied from someone else's exact pattern. There is a goal of developing an independent sense of design and taste, of learning each craft well enough to be able to make some of your own design decisions, and not just connect the dots. Something that does not seem to be discussed or encouraged much, at least at this age, is the kind of undirected art or crafts, smushing stuff around, that is mostly process but with no real product in mind. This may have been because craft materials were expensive; but taking that further, I think the students were to develop a "relationship" with the paints, wool and clay. That is, learning and respecting the properties of whatever material you were working with, in the same sense that a cabinetmaker seems to enter into the spirit of the wood he uses. If you have good coloured pencils, you try to get the most out of them, learn what you can do with them, as well as treat them carefully. And, as I said at the beginning, there are few crafts listed that seem made to fit (usually) with a particular lesson or historical period. The exceptions would be illustrating scenes from literature, or occasionally something like dressing dolls in historical costume. Even the art-class projects were not directly inspired by the term's artist or the historical period, in contrast to much of today's educational thinking. Papier-mâché bowls for gifts, yes; papier-mâché gargoyles, no. Does that mean you should never make sunbonnets when you read Little House on the Prairie, or that you can't make earth-strata art during a geology unit? (If I had all the stuff, I'd love to do that one.) No, I don't think so...nobody wants to take all the fun out of homeschooling. But perhaps this takes some of the stress out of it. If you're a CMer and you're going to do crafts...mostly...do crafts, and don't worry about how well they fit. If you're going to draw, then draw. 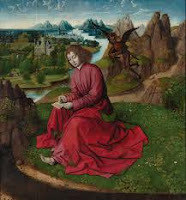 If the relationships (to the materials, or to the landscape or natural inspiration or just to general ideas of beauty and design) are being formed, then the real learning is happening--with or without gargoyles. Friday, August 23rd is a red letter day. A day of rejoicing, thanksgiving, excitement, and probably chocolate. No, you don't know why, but I shall tell you, dear readers. Advisory member Karen Glass and I are going to be in the same house, under the same roof, chattering our little hearts out. Do you know how seldom Advisory members get to meet? Almost never. We had been online friends and Advisory members together for years and years before we ever got a chance to meet in person (the one and only AO conference, and Anne didn't get to come to that, was the first time for most of us). We are all astonished at how much we've accomplished together, or rather, how much God has done through us, online, before we ever met. In our sixteen or so years long friendship (that's an awkward phrase), IIRC, I have gotten to meet with Karen in person three times. Tomorrow will be the fourth. And I get to meet her husband for the first time, and two of her children as well. I'm so tickled I am just about incoherent over it. It's been a difficult week for our family for a couple of reasons I don't want to share here, but this, this is a rich blessing that soothes some of the sting of the other stuff. posted by Anne White, from Walter Savage Landor, Imaginary Conversations, "Southey and Landor"
Landor. In Livy, as in Milton, there are bursts of passion which cannot by the nature of things be other than poetical, nor (being so) come forth in other language. If Milton had executed his design of writing a history of England, it would probably have abounded in such diction, especially in the more turbulent scenes and in the darker ages. Southey. There are quiet hours and places in which a taper may be carried steadily, and show the way along the ground; but you must stand a-tiptoe and raise a blazing torch above your head, if you would bring to our vision the obscure and time-worn figures depicted on the lofty vaults of antiquity. The philosopher shows everything in one clear light; the historian loves strong reflections and deep shadows, but, above all, prominent and moving characters. We are little pleased with the man who disenchants us: but whoever can make us wonder, must himself (we think) be wonderful, and deserve our admiration....Tacitus was also a great poet, and would have been a greater, had he been more contented with the external and ordinary appearances of things. Instead of which, he looked at a part of his pictures through a prism, and at another part through a camera obscura. If the historian were as profuse of moral as of political axioms, we should tolerate him less: for in the political we fancy a writer is but meditating; in the moral we regard him as declaiming. In history we desire to be conversant with only the great, according to our notions of greatness: we take it as an affront, on such an invitation, to be conducted into the lecture-room, or to be desired to amuse ourselves in the study. Well, no (and I'm sure he would have had a scroll, not a book), but he does seem to be enjoying it anyway. After a lot of procrastinating, I got busy this summer and wrote North-based notes for Cicero, Demosthenes, and Coriolanus. 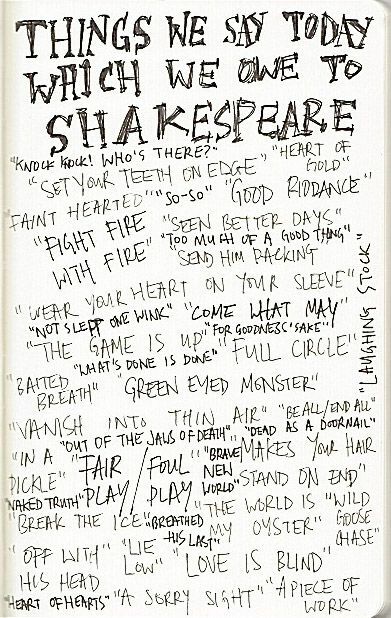 I have always been a bit hesitant to tackle North, mainly because of the amount of vocabulary footnotes that seem to be necessary in Shakespeare, and they're the same era. But if you figure that Dryden was 1631-1700, that really doesn't make him a whole lot later! In other words, if you want a new translation, get a really new one, but it doesn't make sense to tremble over North's just because of the age thing. Out of the three, I think I liked doing Cicero best. I liked the story of him having to make a big court decision, but not even being able to go home and think about it, because his house had temporarily been taken over by women doing some kind of religious festivities. I could just imagine him trying to come in the front door and having a bunch of women's club members dropping flower wreaths on him, playing music, probably had had a bit of wine...it had to have been a fun evening, right? He probably fled in terror. And at that point, the peaceful old days in the library would have sounded pretty good. 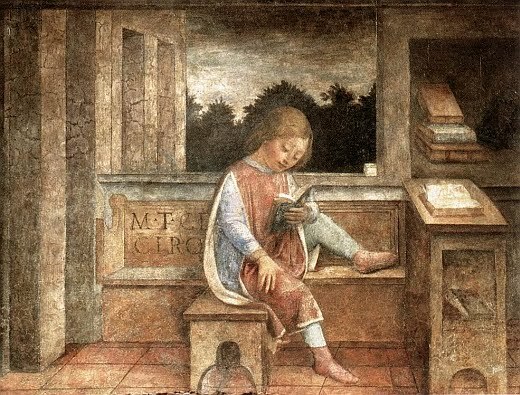 Fresco: Vincenzo Foppa's Young Cicero Reading. c.1464, found in this very helpful article about Cicero and Archimedes' tomb at Three Pipe Problem. 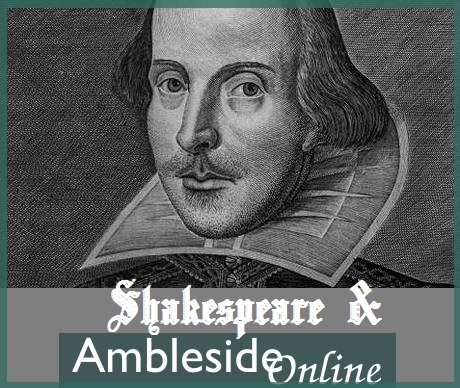 In our ever-continuing quest to make Ambleside Online as user-friendly as possible, we're adding more links to free e-texts and free audiobooks while streamlining the website to make the pages cleaner and (hopefully) easier to see and work with. You'll see some funny-looking little symbols all over our booklist pages, but don't let them put you off - they're very cool, and not hard to understand once you know what they mean. :-) There's a helpful key to these symbols at the top of each and every Year. One very exciting change that's come about in the past few years is the advent of eReaders, and our favorite etext website, Project Gutenberg, has started including their texts in a variety of formats, including html, ePub and Kindle. So, we've gone through our entire booklist, and every text that PG offers, we've linked that as our first choice by hotlinking directly to the title of the book. If a title hotlinks somewhere else, PG doesn't have it yet. We've also included a little circle that links to manybooks.net, where you can load the text directly to your Kindle for free. And for those who can figure out how to use the archive.org ebooks (we haven't figured it out ourselves! ), we've included a tiny dot that links to their offering of the book; they also offer a variety of formats. We're also working on linking Librivox audios to each Year. Where you see a little image that looks like a tiny pair of headphones (it's actually the Greek omega letter), click it to take you to the Librivox audio of that book. We still have links where you can purchase a hard copy of the books, or a Kindle version, though these links are now shortened to a $ dollar sign (denotes a hard copy of the book) or the letter K (for the Kindle version). Basically, the $ or K within a parenthesis means it's a purchase, and the symbols outside the parentheses are free links. The purchase links are what support our website and forum. For twelve years, we paid for webspace ourselves, but since we've been using this system, our site has been self-supporting without us having to solicit donations. Year 1 is complete, and we'd love some feedback! Years 2 and 3 are also almost done, and we'll continue through each Year, posting each one as it gets completed. We hope the changes make using AO even more convenient for you! Below are several free audio files of books used in Year 0 of AO.In addition to links to free audio sources for material for the youngest children, I have included links to related topics as well. Sometimes that link may be as simple as a coloring page or a recipe of something tasty to make that seems to go well with the story. Other times I've linked to resources for the parent. Those resources are some I believe will help the parent develop a meaningful philosophy of education, elevate the approach to education from rules to principles, and help deepen the reader's understanding of certain valuable principles (CM's methods, for instance). AO, after all, is a (free) program which seeks to develop and emulate a Charlotte Mason education. There are some coloring pages for several of the Potter books here. The site has lots of other things, too, but for 'year 0' children, I could really only endorse the coloring pages. There are movies of the different Potter books on Youtube as well, but some are no doubt pirated, and not all are created equal, so be cautious. This is a digital reproduction of the first edition of Peter Rabbit, which was not in color. You can click on the pages to turn them (and it will even make the sound of turning pages for you). The images are clear and large and the pages are easy to read. If you have several little ones sitting around you clamouring to 'see', this one might be the way to go. ~The Velveteen Rabbit by Margery Williams. ~The Story of Little Babaji by Helen Bannerman. This is a retelling of an older tale and the new version is not in the public domain. The original version is Little Black Sambo, and it is on Librivox. The story is essentially the same in either version, and it is a very charming story. However, in the original, Black Sambo's parents are Black Jumbo and Black Mumbo, and the illustrations were truly embarrassing caricatures. I wouldn't have it in my house (you can look it up on youtube to see samples or look at it here if you must). We do not usually find it necessary, or even useful, to have a lot of 'projects' to do to go along with our reading, especially for this age. Remember, less really is more- less of you imposing your formal lessons means more of the children really learning for themselves. However, making and eating a pancake supper together after reading this story really does feel like a must. Tiger Butter: take a stick of softened butter and whip 2 or 3 tablespoons of frozen orange juice concentrate into it. Add powdered sugar until it is the consistency you desire. You would not use syrup with this- it's sweet enough. A Child's Garden of Verses by Robert Louis Stevenson. Illustrations here, from a vintage edition. The Real Mother Goose by Anonymous. Poems Every Child Should Know edited by Mary E. Burt. Mother Goose with illustrations and the option of audio, including several different languages to choose from. Although I don't think putting a child this young through a rigorous, deliberate program of poetry memorization is a good thing, it is a fact that most children this young will memorize poetry naturally if you read it enough. There is a helpful talk on this here- though most of the material will apply to older children. ...it is well to store a child's memory with a good deal of poetry, learnt without labour. [a friend of hers raising a niece hit upon an excellent method] She read a poem through to E.; then the next day, while the little girl was making a doll's frock, perhaps, she read it again; once again the next day, while E.'s hair was being brushed. She got in about six or more readings, according to the length of the poem, at odd and unexpected times, and in the end E. could say the poem which she had not learned. 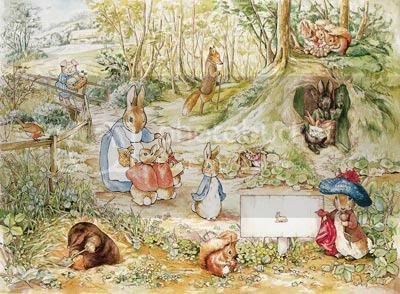 "...let them have tales of the imagination, scenes laid in other lands and other times, heroic adventures, hairbreadth escapes, delicious fairy tales in which they are never roughly pulled up by the impossible––even where all is impossible, and they know it, and yet believe. Various Fairy tale and folk tale collections by Joseph Jacobs. Childhood’s Favorites and Fairy Stories by Various. Includes Mother Goose Rhymes and fairy tales. The Three Bears- audio with lovely illustrations as well, as well as the option to listen in several different languages. The Three Little Pigs (same as above, pretty illustrations, audio available, and several languages). In The Nursery of My Bookhouse by Olive Beaupre Miller. Various folk and fairy tales for the youngest set. Uncle Remus and other Brer Rabbit books by Joel Chandler Harris. If you are uncomfortable reading these stories to your children because you believe they are racist, consider this opposing view as the stories as subversive, pro-black, anti-slave-owner tales of resistance. Many recordings of Aesop's Fables. Baby’s Own Aesop by Walter Crane. Caveat: There are a few books listed above that are on AO's booklist for year 0, but there are two things you need to know. 1. There are far more books not listed here because this short list includes only audio books in the public domain. AO uses a mix of both older tales and more modern books not yet in the public domain. For a full picture, you need to look at AO. 2. AO is far more than a booklist. It is based on principles which are found in Miss Mason's six volumes, in the Parents' Review magazines Miss Mason edited, in articles - all found on AO's website, fleshed out in discussions held on AO's forums, which are free. Other homeschooling moms there share schedules, narration questions, links to resources they've found, advice on what worked and didn't work with their children, and more. There are even study rooms where moms are reading and discussing Miss Mason's principles, her books, and other books- and there are lots of discussions about the books in the curriculum. The easy tolerance which holds smilingly that everything is as good as everything else, that one educational doctrine is as good as another, that, in fact, a mixture of all such doctrines gives pretty safe results,––this sort of complacent attitude produces lukewarm effort and disappointing progress. I feel strongly that to attempt to work this method without a firm adherence to the few principles laid down would be not only idle but disastrous. "Oh, we could do anything with books like those," said a master; he tried the books and failed conspicuously because he ignored the principles. AO is more than a booklist- and there is a lot more to AO than the booklist. If you're not participating in our forums, then you're missing an incredible amount of support, wisdom, and encouragement.